DANG TAHNEE 2.0 - her fingerflip bodyjars are gonna be dialed. The 10lbs flip isn’t the impressive part. Her mobility and stability on the bosu is fantastic. Really cool to see someone do that. Agreed! But doing the flip of the 10lb plate while standing one-legged on the bosu makes the flip bloody impressive as well! The best are total athletes and it's so impressive. Seems a bit late to start hitting the gym with the first WC in April. It's not like starting from ground up, she was already quite strong. Who is A A Ron? Those sure look like Ride Concepts shoes she is wearing. and remi thirion practicing pinball more than DH!! This might belong in DH Tech. In Remi's crash didn't his frame have to give for the forks to do that? 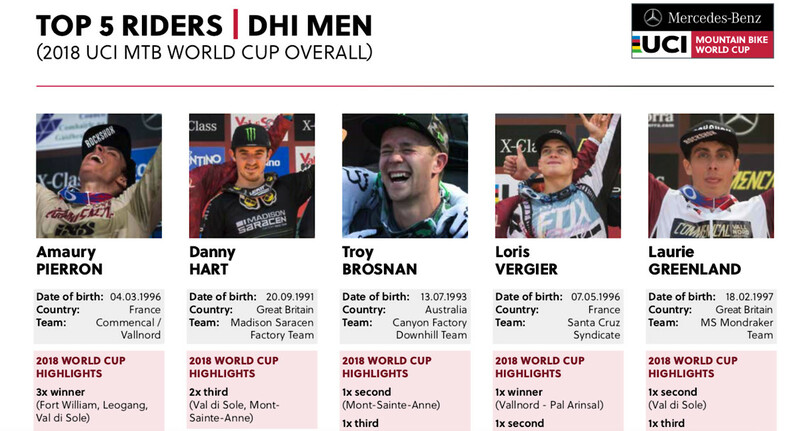 And way too late adds that I really hope that Remi is OK.
hey, why are so many downhillers broken off and not at the first World Cup this season? Oh. The Luge in Rotorua. That's why. lousa DH podium. looks like atherton's bike must work well enough to get on a podium against some heavy hitters. If you want to become a champion, you must think like a champion thinks. And what better way make your thoughts a champion's thoughts than to make your face a champion's face! Who knew plastic surgery had become so dialed!? However, this may cause problems with the credit card. Would be great if Spomer would start a Hoff-style theme where you photoshop that pic of Brosnan's face into the background in each World Cup slideshow. The first person to locate the hidden Party Troy face in each W.C. slideshow would win a Vital T-shirt. @bizutch, i could see that being a legit contest. maybe winner could get sam hill's DH bike? 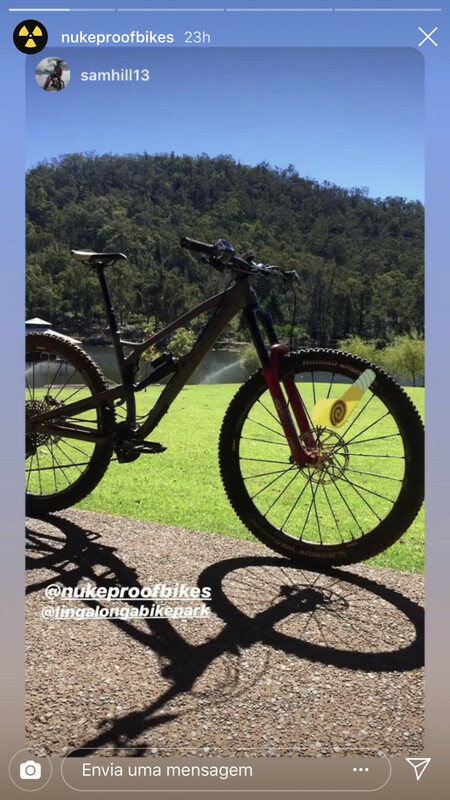 1,953 Likes, 4 Comments - Nukeproofbikes (@nukeproofbikes) on Instagram: "Nice handguards 🤔, Nukeproof Mega 290 in WA @lingalongabikepark #redefineyourlimit #itsanattitude"
2016 called. They want their prototype 29'er enduro bike back.